Anyway, can't wait for the actual announcement. My wife and I have played through all 3 main games (and the telltale one, too) together and that is the most fun I've ever had gaming, so bring on BL3. Maybe I'm just reading into the trailer too much, but I saw it and with all of the chaos going on, just figured they were teasing an upcoming Battle Royal mode in Borderlands 3. In this case, I would love to be wrong. They are going to be showing the Borderlands 3 reveal trailer very soon. Technical difficulties aside, trailer looked great and what they showed looked like a ton of fun. Also the B1 GOTY remastered edition is $30 and now has four player cooperative. 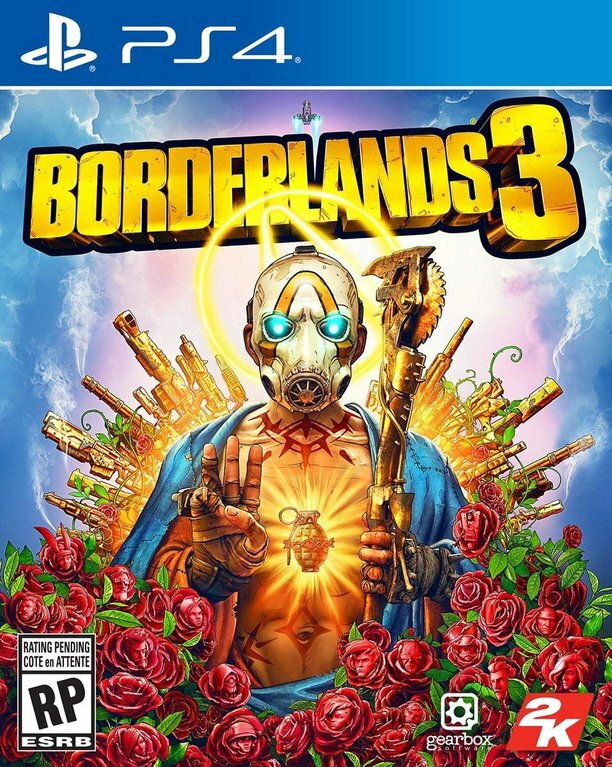 "The package will include all of Borderlands’ DLC: The Zombie Island of Doctor Ned, Mad Moxxi’s Underdome Riot, The Secret Armory of General Knoxx, and Claptrap’s New Robot Revolution. Borderlands: Game of the Year Edition will be a visually remastered version of the game, with upgraded lighting, character models, and textures. PlayStation 4 Pro and Xbox One X versions of the game support 4K resolution and HDR lighting. Gearbox and co-developer Blind Squirrel Games are also adding some quality of life improvements to the Game of the Year edition, including a Borderlands 2-style minimap. The remaster will also support four-player split-screen co-op. Other improvements coming in Borderlands: Game of the Year include a tougher final boss battle and new character customizations for Vault Hunters." Last edited by K&AJones; 03-28-19 at 03:04 PM. hell yeah. looks great. no date, but still holding to FY2020, so anytime between the time i push send on this post and april. i can't imagine they won't ship this for the holiday season. I can't remember any AAA games being announced for this holiday season. Someone thinks they uncovered the release date of Borderlands 3 hidden by code in the BL3 trailer. In the part showing the skyscrapers, two have a number..."01" and "10"....the theory is that's October 1, 2019. For one, October 1st this is a Tuesday...normally days when games are released. Second and more importantly...October is the 10th Anniversary of Borderlands. Last edited by K&AJones; 03-29-19 at 08:16 AM. Yeah, and Pitchford said they'll reveal the release date on April 4, but to expect the game sooner rather later, which would mean by Thanksgiving at the latest. I'm sure they're gonna have tons of DLC coming for a while after too. Release date was posted, then deleted, on their Twitter account. I know it's April Fools day and all, but considering it's on a Friday (a bigger release day now for games), why wouldn't you want to release on Friday the 13th? I guess we'll know on Thursday for sure. Just bought Super-Deluxe Edition. $80 with GCU sounds reasonable to me. Same here. Hopefully it will be added to the $10 reward zone certificate list later on. Apparently a huge plus already for the game...you will be able to toggle on & off..... Individual Loot...instead of being the old way where everyone just stared and figured out what they wanted and/or needed....it'll drop per player or you can toggle the old system on as before. Question is...will leaving the old system in place have better guns to pick over?